Targeted customized facials base on your skin concerns unlike the average “spa” facial. 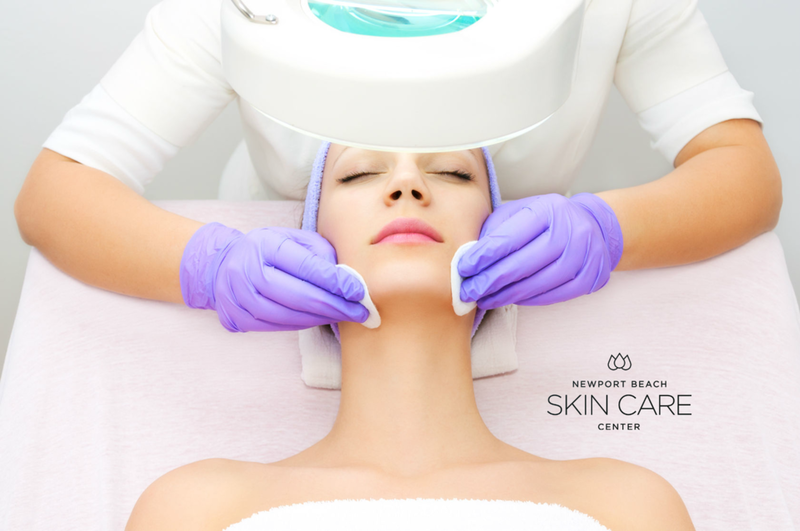 Our luxurious clinical facials here at Newport Beach Skincare Center are different than the average spa facial because all our facials are performed by professionally trained licensed Aestheticians with a caring gentle touch. We treat skin conditions from a medical and wellness perspective to promote lifelong healthy skin. You will experience the benefit of clearer, smoother, brighter more radiant skin. Move from self conscious to self confident within minutes. Every facial starts off with a comprehensive skincare analysis. Treatment and product recommendations will be advised by our licensed Aestheticians. During your professional consultation share your concerns and must have's for your skin. Facial enhancements help to create a more effective treatment depending on your skin’s needs. During your skincare analysis, your Aesthetician will recommend any enhancements perfect for your skin. The BioXFusion facial combines the benefits of medical grade hydrating infusion technology and medical grade dual LED light therapy to exfoliate, infuse hydrating serums and stimulate collagen production. Need a treatment that targets wrinkles, acne scars, large pores, age spots and uneven skin tone? This relaxing yet invigorating facial exfoliates and removes the superficial layers of dry, dead skin cells to reveal younger, healthier looking skin. Treat those painful, embarrassing ingrown hairs and give your pores the ultimate deep clean with our powerful just-for-men facial. Chemical peels use agents to peel the outer most layer(s) of skin, allowing newer healthier skin to present itself. Peels can be an individual procedure or a step in multifaceted treatment. Administered by our specially trained Aestheticains, our full range of superficial peels can help your complexion appear more uniform and renewed—diminishing the appearance of fine lines, wrinkles, and texture roughness. This provides an instant result, leaving your skin glowing, hydrated and fully rejuvenated as you face the world. Appropriate for mild skin imperfections as determined by your Aesthetician. Appropriate for moderate to severe skin imperfections as determined by your Aesthetician.